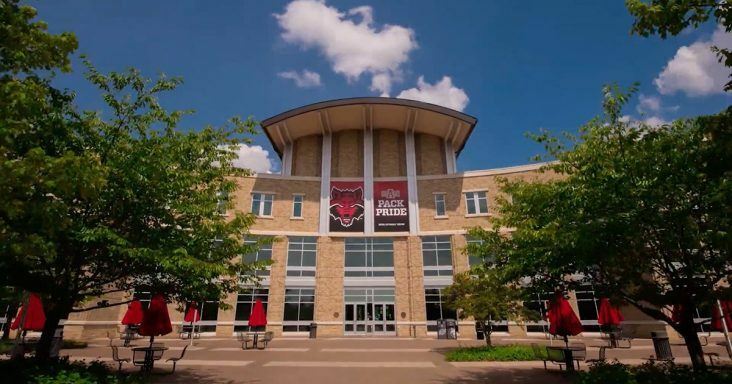 Arkansas State University Chancellor Kelly Damphousse will welcome the three finalists for the vice chancellor for academic affairs and provost position to the university campus during the month of March. Selected by the provost search committee as finalists are Dr. Velmer S. Burton, Jr., Dr. Gregg A. Garn and Dr. Alan C. Utter. Utter is scheduled to visit March 4-6, followed by Garn on March 10-12, and Burton from March 26-28. A public presentation by each candidate is tentatively scheduled for the second day of their interviews from 4 p.m. to 5 p.m., followed by a reception with faculty and staff from 5 p.m. to 6 p.m.
Burton serves as the senior vice chancellor for university strategy and performance at the University of Arkansas at Little Rock. He earned his bachelor, master and doctoral degrees from the University of Cincinnati, and also holds an Ed.D. from the University of Pennsylvania. A criminal justice faculty member, he has served in administrative positions at the University of Minnesota and the University of Mississippi prior to UA Little Rock. Garn serves as the dean of the Jeannine Rainbolt College of Education at the University of Oklahoma. He earned his bachelor degree at the University of Northern Iowa, and his master and doctoral degrees at Arizona State University. An education faculty member, he currently is the executive director of OU’s K20 Center for Educational and Community Renewal and has held the Humphrey’s Chair in Education at Oklahoma. Utter serves as the provost and vice president for academic affairs at Texas Woman’s University in Denton, Texas. He earned his bachelor, two master degrees and his doctorate from the University of Pittsburgh. An exercise science faculty member, he previously held administrative positions at Appalachian State where he was vice provost for research, the founding director of the university office of student research and the director of the health promotion degree program. In other ASU business, women who are looking to start technology-based companies can hear from other women that work in research, innovation and business at accelHERate, a free forum hosted by Arkansas Small Business and Technology Development Center (ASBTDC) at ASU. The event is Thursday (March 7) at the Delta Center for Economic Development 4:30-6 p.m. Speakers at the forum are Amanda Herget, co-owner of Gearhead Outfitters; Dr. Argelia Lorence, Jim and Wanda Lee Vaughn Endowed Professor and director of ASU phenomics facility; Stacey Harral, senior vice president and senior resident director at Merrill Lynch; and Luna Acosta, A-State’s incubator manager and intellectual property and marketing manager. The speakers will share lessons learned and advice for budding entrepreneurs on management and growth strategies, startup mistakes and how to avoid them, key skills for entrepreneurial success and commercialization funding opportunities through SBIR (Small Business Innovation Research). Seating is limited and pre-registration is required. To register, visit here. The Arkansas Small Business and Technology Development Center (ASBTDC) at Arkansas State University is a partnership of the U.S. Small Business Administration, the University of Arkansas at Little Rock College of Business, and Arkansas State University Neil Griffin College of Business. The ASBTDC assists start-ups, existing businesses and technology businesses. Core services include free consulting and market research plus low to no-cost training.